A good-night sleep is everyone’s dream, so when one gets interrupted during the night. Sweating during the night can wake you up and make your nights restless. In this context, this is why you need a bed cooling system to ensure that even if your body overworks and produces a lot of heat, you have a system that ensures you will not be awakened. For your night cooling system, a chill pad cube is an important tool to consider. It is a water based system that works on cooling your bed temperature. The chillpad cube comes from the chili technology, a company that specializes in the temperature control technology. The ChiliPad is a water based system used to control a temperature range between 55-100 degrees Fahrenheit. The cube has the control unit that is designed to cool the mattress pad. It is then connected to a 96 inch tube that goes through the pad, carrying a regulated amount of water at the regulated temperature. There is a fit for every bed size. This is the world’s first cooling system that is controlled by a smartphone. It has an air controlled system that ventilates the bed, relieving it off of heat. It provides an almost instant cooling effect. It is made up of a ventilation unit that goes into the mattress using a small hose. When one goes to bed, you just switch it on and it lowers the temperature. During the winter, it can be reversed to provide heat. The system works by wicking away any moisture, ensuring your sweat will not the cause of any loss of sleep. It has a dual zone system that can offer both cool and warm environments independently. This works when two people are sleeping in the same bed, they can both enjoy personal environment without being interfering with the other’s sleep. Unless you use the dual zone, two people with different sleep preferences cannot sleep on the same bed. It is not a cheap alternative. This is a range of products that include mattress toppers and bed cooling pads. These are separate products that you add onto the bed. These products use specially formulated material like gel infused memory foam, which helps in regulating the temperature in better ways than standard mattresses. 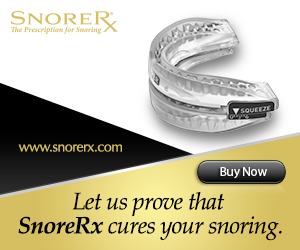 It works by absorbing the heat in the mattress and spreading it out to the edges of the mattress topper or cooling pad. You cannot turn it into a warming system in the winter. This is a water based system that is controlled by an app. It involves a control unit that is placed under the bed and an ultra-thin cooling mattress topper. It has a network of thin tubes in which water passes through, cooling or heating as programmed by the user. It has no hoses compared to other alternatives. It is controlled via an app. Although it is still in early development, the first products should be ready soon. It can be connected by Wi-Fi and controlled on phone, so you can sync it with other platforms like FitBit and nest to help share your bio data. It is still in production, so those looking for an immediate solution will be disappointed by this one. This is a products that is use d to regulate temperatures on the bed. You can buy it separate from your standard mattress, so you do not have to change your entire sleeping system. This mattress topper does not require cooling elements, as compared to the high tech cooling systems. They just work by giving your body the cooling it needs by absorbing heat via improved ventilation. They are less high-tech as compared to the more advanced cooling systems. Most of them are portable. For extra cooling, you can put them in a fridge for a while. They cannot be regulated to give a standard temperature, hence the extra cooling hacks. This is like a cheap alternative for a BedJet. All it does is give a gentle breeze of air. This cools you down well enough. There are two models, depending on the height of your bed, but you should be able to find one to suit your bed. It has a breeze bar that allows for air circulation. The controller is a wire, rather than a remote, which can be irritating. If you move a lot, you may need to adjust it from time to time.